I had never seen a live Muskox before. Does it not look like cattle grazing on a ranch? I am excited to finally encounter the survivors of the North American ice age. 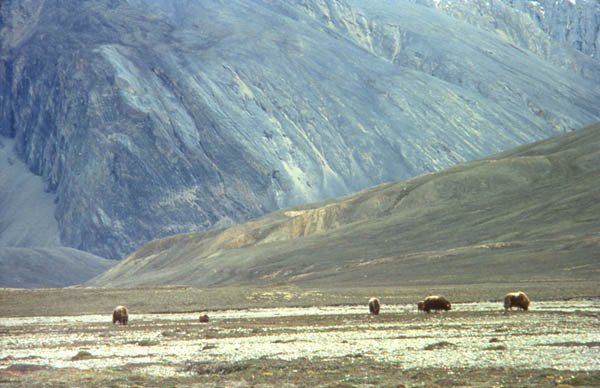 The Muskox, along with the American bison, is one of the few large animals to have survived the climatic and geological change of time.